Reply 'For Mr Dirom', probably to his unnamed medical practitioner. Cullen refers to Dr Matthew Dobson's A medical Commentary on Fixed Air (2nd ed., 1785), which contains an appendix by Dr William Falconer, On the Use of the Solution of Fixed Alkaline Salts (cited also in Doc [ID:5533], part of Case 2170). He hopes that the book may be found in Aberdeen, and the apparatus required in either Banff or Aberdeen: if this is not the case, he asks to be informed by return of post. Summary Reply 'For Mr Dirom', probably to his unnamed medical practitioner. Cullen refers to Dr Matthew Dobson's A medical Commentary on Fixed Air (2nd ed., 1785), which contains an appendix by Dr William Falconer, On the Use of the Solution of Fixed Alkaline Salts (cited also in Doc [ID:5533], part of Case 2170). 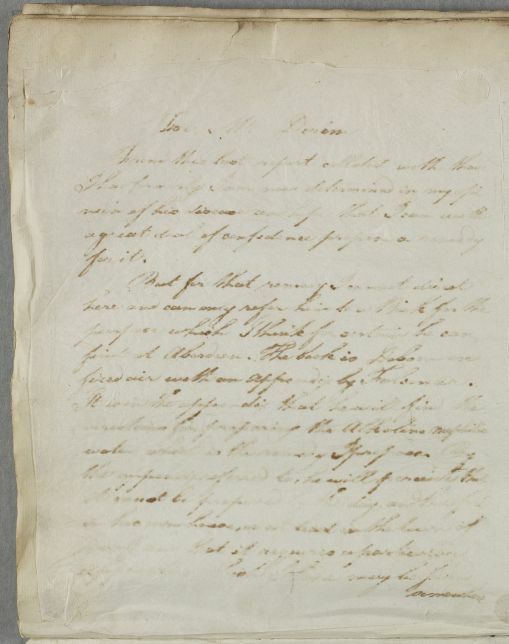 He hopes that the book may be found in Aberdeen, and the apparatus required in either Banff or Aberdeen: if this is not the case, he asks to be informed by return of post. presume it is to be found at Aberdeen. 1: Dr Matthew Dobson, A medical Commentary on Fixed Air, with appendix by Dr William Falconer, On the Use of the Solution of Fixed Alkaline Salts (2nd ed., 1785). 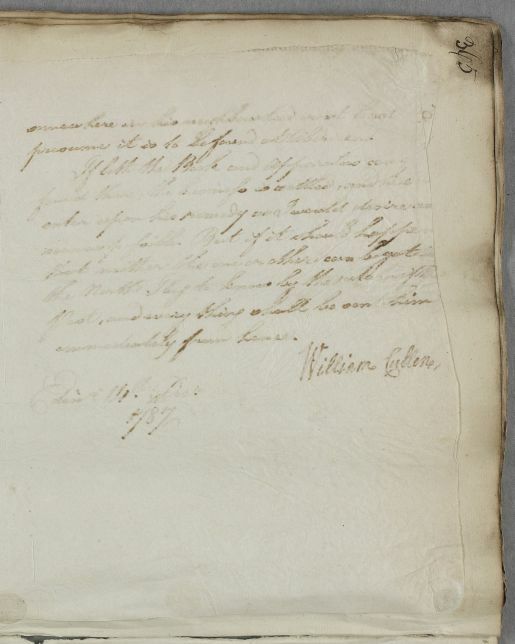 This work is cited by Cullen also in Doc [ID:5533], part of Case 2170.